Dr. Silar Tashawar is a former member of the supervisory board of Venurian Prospecting Ltd. and new Third Tahir for the Qua’ it tahir. Tashawar was born in Jenos, capital city of Perasca into a very conservative family and received a religious upbringing — especially by his mother who was a priestess at the Temple Sa’khra in Jenos. As a young man, he dreamed of a military career but his parents tried to steer him in a different direction. Tashawar graduated from the Department of Geology of The Jenos School of Mines and then pursued postgraduate studies in Economic Petrology at the same university. He received his Ph.D. in Geochemistry at a remarkably young age and then joined Venurian Prospecting Ltd. and concentrated on the business side of things. While working at the geology-department he studied at the Venurian Business University and graduated with honors. Because of his extensive knowledge and ingenuity, he quickly gained recognition within the corporation and climbed the career ladder, becoming a member of the supervisory board of Venurian Prospecting Ltd. in 104. Tashawar had also developed a strong interest in politics and gained a reputation for being a reliable mediator, eloquent spokesman and a tough negotiator. After the assassination of Queliar Neamru, the Qua’ it tahir elected Tashawar as the new Third Tahir on 111.3.18. .
After seeing Solrain Speaker Demeter Garreth very publicly undergo the genetic modification to become a jump-pilot, Tashawar decided to do the same, for both personal and political reasons. Quantar government (Fa’hil Memta) is unique in as far as a “Tahir” is elected by the people, and remains in this position for life. The Tahirs must publicly announce all major governmental decisions to the citizenry, with consenting and dissenting opinions where applicable. If a decision is unpopular enough, any Tahir may be removed by a 70% popular vote. – although this has not happened in over a century. Historically the people replace the Tahir upon his/her death with a member of his own family. As a result, Quantar government was dominated by the Neamru family for several decades. That chain was broken in 111AT when Silar Tashawar was elected Third Tahir. The Quantar System is located between Amananth and Hyperial, and currently consists of 31 sectors. The Quantar have built four space stations – Quantar Core Station, TriPoint Station, Corridor Station, and Quantar Storage Depot. The primary stations are located near the dominant planets of the Quantar System – Quanus, Perasca, and Kapenja. 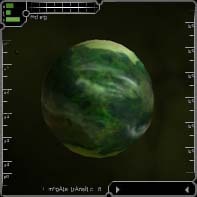 Quanus is the dominant planet of the Quantar System, and the seat of the “Fa’hil Memta”, the Quantar government. Just as their space-bound brethren, the inhabitants of the planets are primarily miners. Quanus is rich in precious stones and minerals that also represent their primary export articles. Like all citizens of the Quantar Systems, the Quani refuse to wear such adornments themselves. 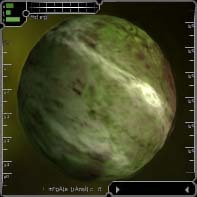 Perasca is the smallest planet in the Quantar System. But because it distantly orbits the gas giant Roh, some astronomers insist it is a large moon. 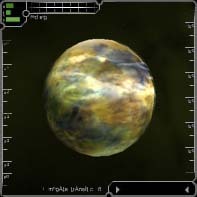 Others believe Perasca was once a rogue planet, initially attracted then slowed by Ring View’s gas giant Orus and ultimately captured by Roh’s massive gravity. The administrative headquarters of the Venurian Prospecting Ltd. in Jenos employs millions of Quani. The Jenos School of Mines is reknowned for its geological and Mineral Engineering departments. Kapenja is rich in fossil fuels and carbonized rock, making it an important provider of refined fuels. Therefore, refineries and purification facilities dominate the Kapenjian landscape. TriPoint once housed the TRI headquarters for a brief time, but is now strictly a Quantar outpost. Quantar in a nutshell is a highly advanced hunter-gatherer tribal culture. Quantar pilots are sometimes considered religious zealots by outsiders. They are ingrained with deep spiritual beliefs in relationships to the Great Cosmos, Nature, and Matter. What weapon do I require? For behold, I am the Lion… I am the weapon. The Quantar are highly protective of the territory they inhabit, which is held as sacred space to them. They control access to a multitude of mineral products, and the majority of the Great Venure Belt, bordering Hyperial. Quantar lost and reestablished control of these areas during the Second GVB War with Hyperial, named after the original Jihad al Din (or Faith War). Like its predecessor, the Second Faith War ended with the Hyperials completely defeated and without a space fleet. To the Quantar, mining resources is more than a source of income; it is a way of life and an entire belief system. In fact, every Quantar ship is manufactured with a Bussard Mining Scoop for increased mining productivity. This device, through the use of electromagnetic particulate collection fields, increases the efficiency and speed of mining. Of course, this device is only useful when used in conjunction with a mining laser. Quantar ships are often best in class when rigged for mining. Although mining, trading, exploring, keeping holy Quantar beacons tuned and fighting for honor are essential to a Quantar’s status, loyalty, teamwork and selflessness are the religious keys to ascension. Mehr Limi’im (the “Great Mother”) was an enormous asteroid orbiting the planet Quanus. It was a vary rare “composite asteroid” that contained common, semifluxor, precious, radioactive and ice ores. The station now known as Quantar Core was originally built in-and-around this asteroid. The yields from Mehr Limi’im sustained Quantar through the darkest times after The Great Collapse. It has been hundreds of years since it was finally mined-away, with just a few small common-roid remnants left.